Want to be notified of new releases in techsneeze/dmarcts-report-viewer? NOTE: The viewer expects that you have already populated a database with data from John Levine's rddmarc script or the dmarcts-report-parser.pl script. 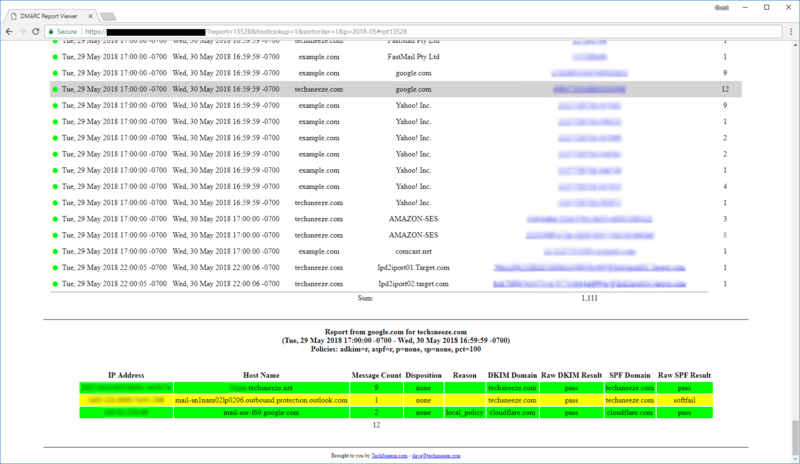 Once the PHP files have been downloaded, you will need to copy dmarcts-report-viewer-config.php.sample to dmarcts-report-viewer-config.php. Ensure that dmarcts-report-viewer-config.php, dmarcts-report-viewer.php, and default.css are in the same folder. 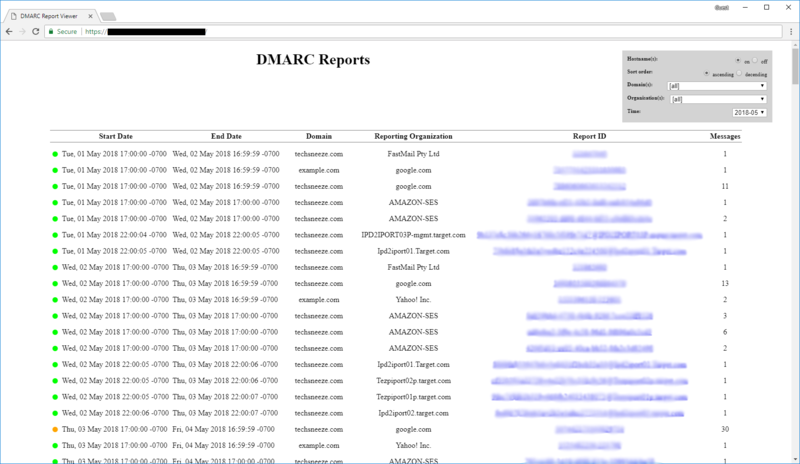 Navigate in your browser to the location of the dmarcts-report-viewer.php file. You should be presented with the basic report view, allowing you to navigate through the reports that have been parsed.